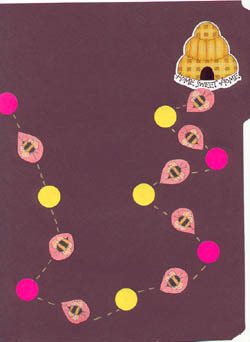 Bee stickers from the scrapbooking isle of a craft store. 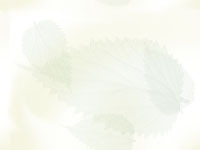 One sheet of scrapbook paper. Pink with flying bees on it. Sturdy paper or index cards to make the cards. 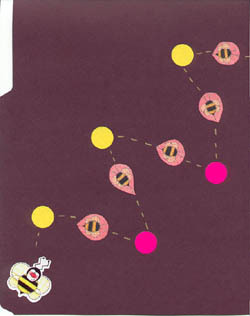 The object of the game is to help the Bee make it to the beehive. You can do this is in any number of ways. For my preschooler I've choosen to concentrate on the /b/ sound. Later we may incorporate the /z/ sound as well because BUZZ is such a great model for that sound. I took the time to create cards in a special shape. Index cards would be quicker and work just as well. I wanted our cards to look like a honeycomb and chose sturdy paper the color of honey. What is "extra cool", to quote my daughter, is HOW we use the cards. In the above picture you can see a card with a baby, one with a 9 and another with what I call hatch marks. The criss cross red marks conceal a smiley face drawn with light blue colored pencil. I want to point out that I feel it is best, at first, to create a deck of cards with the majority of words beginning with the target sound. Later you can add in other words or perhaps work in discriminating between /b/ and /p/. Another option for a preschooler who has mastered the /b/ sound or for a Kindergartner is to add cards with words that have /b/ in the middle. Give extra spaces if the child can tell WHERE in the word the /b/ sound is heard. I scanned this into my PC so pardon the picture looking like a monster with small eyes and a big, red mouth. In reality this is a piece of super thin metal in the shape of a bee hive. The holes are so that it can be hung from a wind chime or other project. When I found it at Joann Fabric's on the clearance shelf for only 23 cents I KNEW I would find a use for it. Bought at normal price you will pay only 99 cents. A square of red cellophane is taped to the back to create the decoder window. After the player has given their answer or "yes this word begins with /b/" or "no it doesn't" the back of the card is viewed through the decoder. If the decoder window reveals a smiley face the word DOES begin with /b/. If the window reveals a frown then the word does NOT begin with /b/. I alternated the yellow and pink stickers for more than just aesthetic reasons. I plan to make the game more complex when playing this way begins to get too easy. Having the different colors will open up more possibilities for the game to "grow". For playing pieces we will paint wooden sunflower pieces. These are sold at Joann Fabric's for 99 cents. Six pieces come in one bag. One last point. In my beginning deck of 12 cards I have a few repeats. These are pictures of words like BALL and BIKE that I want to establish as her keywords for /b/. Later they can be added to her LetterWorm on her wall.